The Denver Nuggets haven’t quite figured out how to stay out of their own way. They show flashes of brilliance, but they back themselves into corners with silly mistakes and mental lapses that lead to seemingly habitual collapses. 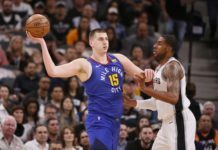 If there’s any silver lining, however, to the bumpy road the Nuggets have traveled to a potential playoff berth, it’s what they’ve learned along the way — how to fight when their backs are up against the wall. With the season hanging in the balance against Portland on Monday night, Denver almost let the game slip away from them, but their leader reminded them of the quality that’s carried them so far — resilience. 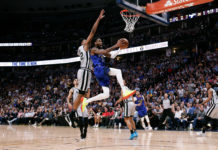 Halfway through the third quarter, Denver found themselves pushed up against that all too familiar wall once again — their heels dangling over the proverbial edge as Portland looked to send them tumbling out of the playoff picture with one strong push. The Blazers held a nine point lead — just two points shy of their biggest lead of the night — and whatever swagger Denver had carried up to that point had vanished. Malone was referring to the pivotal foul he drew, which followed Jamal Murray’s attempt to wipe the state of Oregon off of the map with one single dunk. Murray missed, but Malone thought he was fouled and he wasted no time letting the officials know how he felt. 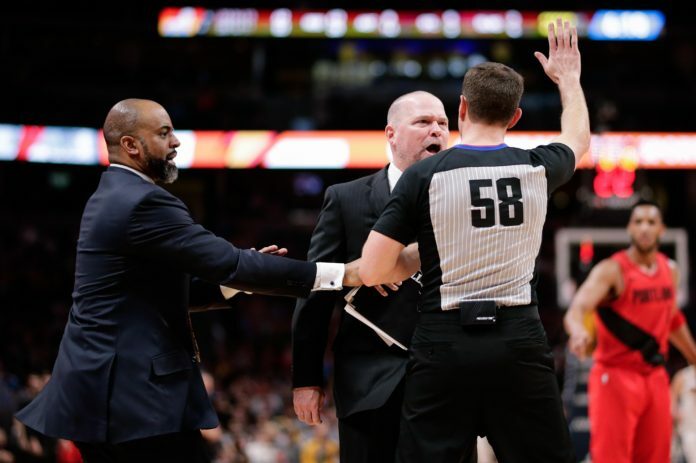 The Queens native stormed onto the court, letting the officials know — in no so uncertain terms — that they had made an incorrect call. Malone was livid and he let the crew have it. The crowd rose to its feet in response and the players responded in turn. An arena that had gone quiet had roared back to life, and his players remembered what they know how to do best — fight. The technical was reminiscent of a performative tirade from a baseball manager, one designed to draw an ejection and to inject some life back into his team. You don’t see that tactic employed as often in the NBA but it worked for Michael Malone. The technical changed the course of this game. Denver outscored Portland 35-20 from that point forward, and they outplayed them in virtually every aspect of the game. The Nuggets have cleared a major hurdle, but they aren’t out of the woods. They’ll head to Minnesota to take on the Timberwolves on Wednesday night with a playoff spot on the line. 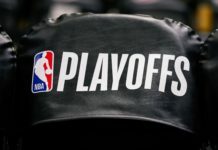 The Nuggets will be the underdogs in this one and their backs will inevitably be pushed to the wall one final time — but if we’ve learned anything about this team, it’s that’s exactly where they like to be.